Prim Pack 1 made from 2mm Premium Grade MDF. 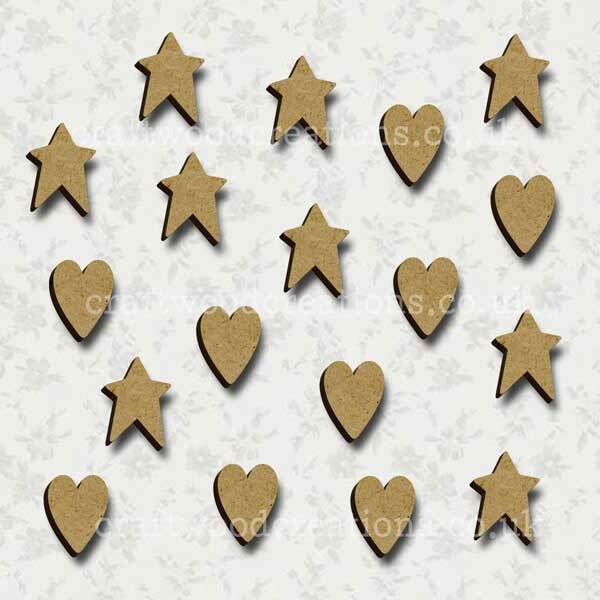 18 pieces – 9 Hearts (17mm x 22mm), 9 Stars (18mm x 25mm). Prim Pack 1 is made from 2mm Premium Grade MDF. 18 pieces – 9 Hearts, 9 Stars. Size shown is approx size each piece.